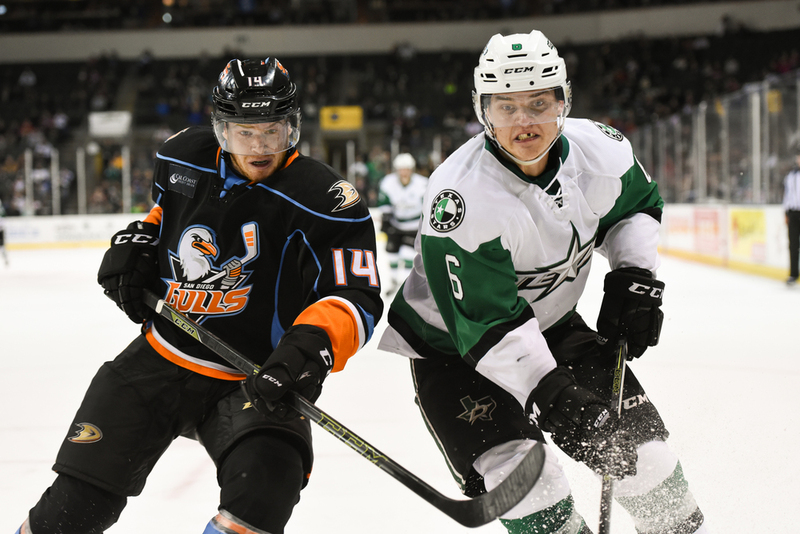 The Texas Stars had another double header weekend, this time taking on the San Diego Gulls Friday and Saturday nights. The teams each got a win in the heated games. 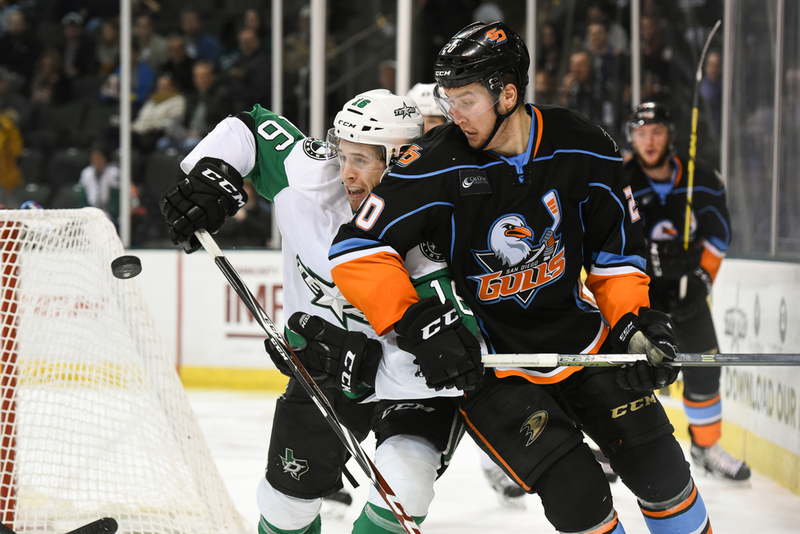 The Gulls won by a goal Friday while the Stars had a resounding 5-2 victory on Saturday. 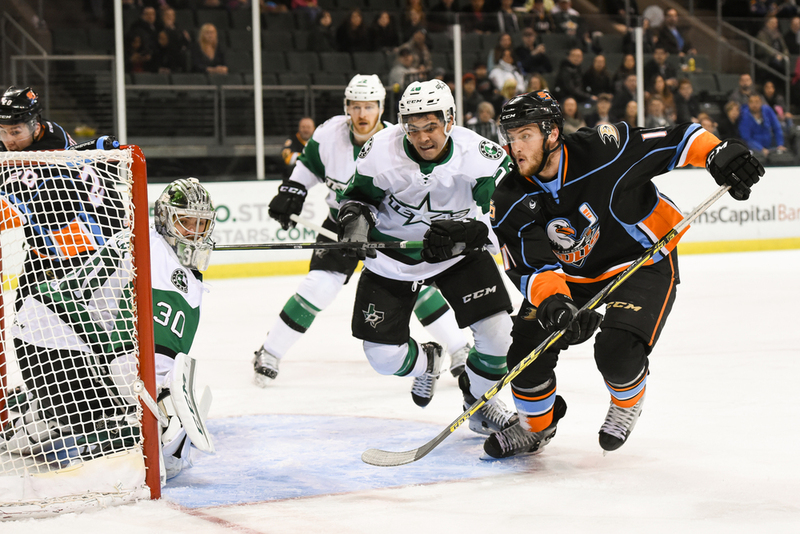 The first shot above from Friday's game is Derek Hulak leading the Stars into the offensive zone through the Gulls' defense. In the second shot, Matt Mangene applies some defensive pressure in the crease of the Stars' net. 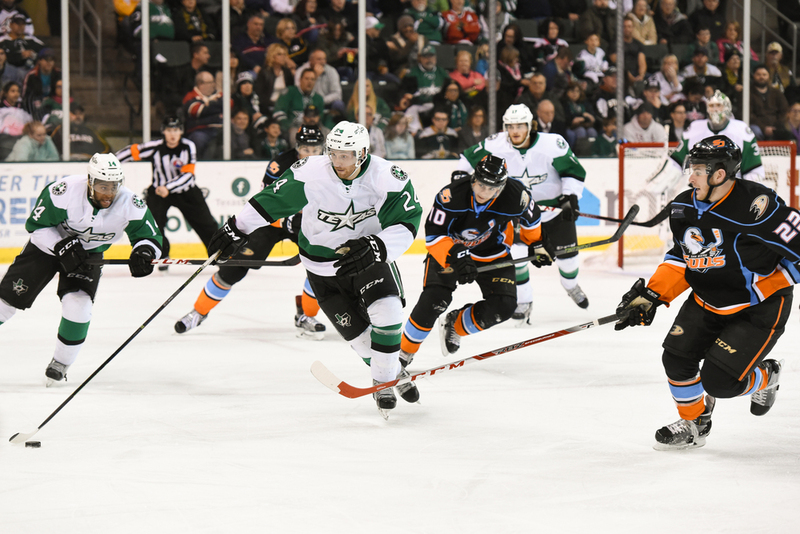 The third shot is Julius Honka racing for possession of the puck deep in the corner of the Stars' end. Full image gallery from Friday is here. 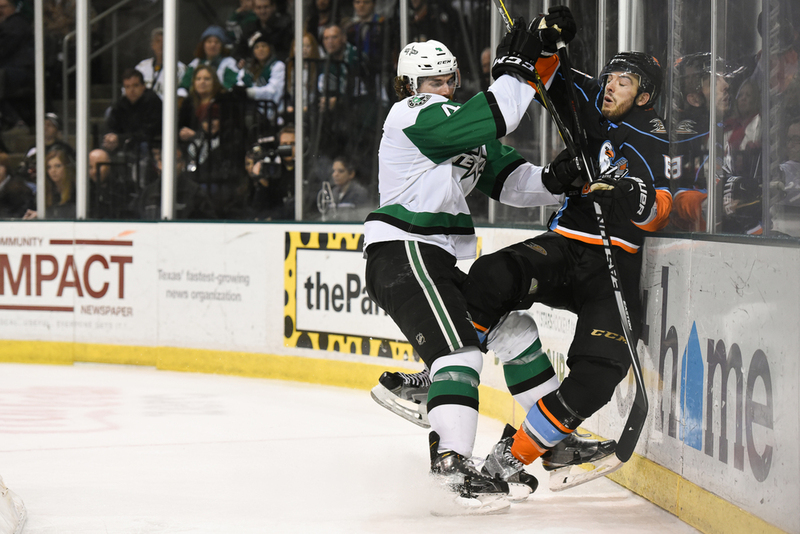 Curtis McKenzie fights to gain control of an airborne puck behind the Stars' net in the first shot from Saturday's game. 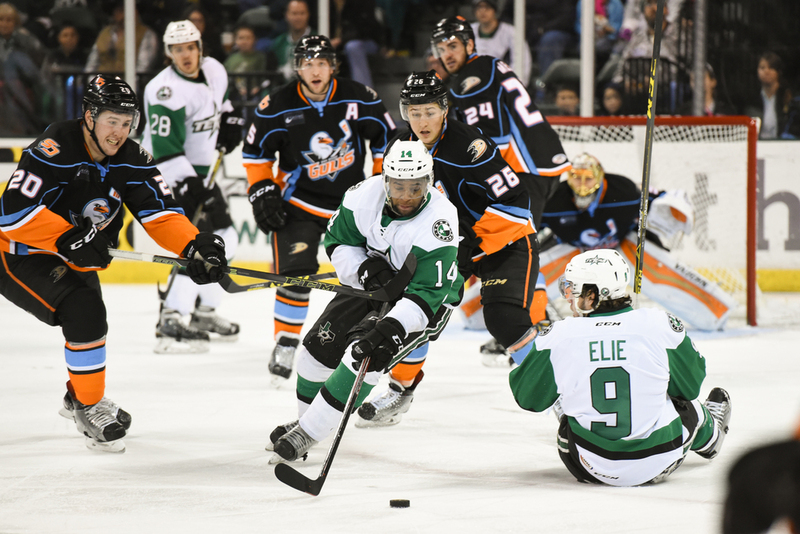 The second shot is Gemel Smith maneuvering the puck around a Gulls defensive wall as Remi Elie recovers from a tumble during an offensive push. In the third shot Stephen Johns puts a solid hit on an opponent behind the Stars' net. Full image gallery from Saturday is here.